We planed a last minute trip for my husband's birthday. 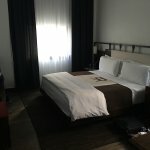 After looking at several properties I decided on the Refinery Hotel and we were not disappointed. The location was fantastic, close to great restaurants and entertainment. The staff was gracious and attentive. I let the staff know when I booked the reservation that it was my husband's birthday - on his birthday they had a complimentary bottle of wine and a birthday cupcakes waiting in the room for us after we returned from brunch. 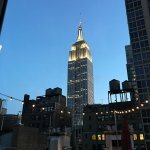 The rooftop lounge has great views of the city and was the perfect spot to unwind. Thanks for your review, WldTrvlDuo! We were so happy to be part of your husband's birthday celebration and are so pleased you enjoyed your stay. We look forward to your return visit!